We believe that every life matters. That is why we strive to deliver the best care possible to our patients, both in the clinic and in the community. Our mission is not simply to provide medical services to the poor, but to build an effective healthcare system in the region that will save lives in a sustainable, equitable and just manner. We have a vision that drives all of our programs: the poor and all in Sierra Leone deserve the best healthcare possible, and Wellbody Alliance is dedicated to delivering it. We will work towards this vision until the day that no Sierra Leonean dies a death that would not happen in America or Europe. We have a mission that aligns our work: to provide healthcare as a human right to the poor in Sierra Leone. We do this through our community health work and high quality clinical care in Kono District. 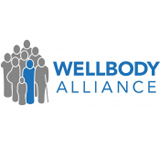 Found in 2006, Wellbody Alliance has grown into one of the major healthcare providers in Sierra Leone, with a continued focus on maternal and child health. Serving over 30,000 patients a year from the Wellbody Clinic and our partner public clinics, Wellbody Alliance is building an effective healthcare system in one of the poorest and most war-torn regions of Africa. Our Mission is to provide healthcare as a human right for the poor. We believe that all humans have an equal right to life-saving care; thus, while we provide direct medical services to our patients, we also see ourselves as human rights advocates and activists, proving that such an ambitious mission can be made concrete through accessible and top-quality medical care. Wellbody broadly divides its programs in two categories: clinical care and community care. At its primary care clinic, Wellbody offers comprehensive and high quality clinical care to every patient who needs it—approximately 20,000 per year. At the clinic, patients are provided with comprehensive primary care that encompasses such specialty services as antenatal care, family planning, HIV/AIDS care and epilepsy care. Some of these services, like advanced diagnostics and radiology are offered nowhere else in the district, while the rest are limited to one or two other government facilities. We provide free care to children under five years of age, pregnant women, nursing mothers, amputees, HIV-positive patients, and the poorest community members—over 70% of our patients. We also partner with and support the District Hospital and government health outposts to guarantee access to emergency, surgical and advanced medical care for those who need it throughout the district. Many causes of poor health in Kono District cannot be addressed by clinics alone. Social, practical, psychological and economic barriers plague the poorest patients, and our corps of community healthworkers form referral networks deep into remote villages in Kono. They accompany patients to clinics and through treatment, educate and screen them for communicable diseases and provide daily home-based care for those with chronic conditions. We now operate community-based programs that target women and children, HIV patients, civilians wounded during the country’s civil war and tuberculosis patients, with dedicated community health workers trained to target and support each individual category of patient with comprehensive and effective home-based care.